The next generation of faith leaders need theological imagination and courage to constructively engage the challenges and opportunities of the real world. We prepare students for the real world IN the real world. Drew programs include contextual learning experiences where you apply, test, challenge and assess what you learn in the classroom. Ministry is complex work. Professionals need a broad knowledge base: from biblical preaching to budgets and from community organizing to comforting the grieving. To prepare students for this challenge, the Master of Divinity and Master of Arts in Ministry programs require students to complete two semesters of apprenticed or mentored ministry (also called Supervised Ministry) in a placement setting that resonates with their calling. The Office of Vocation and Formation works with students and mentors to anchor each placement in theological, vocational and spiritual reflection and growth. Placement settings beyond the parish include prison re-entry programs, urban gardening projects, after school programs, hospital chaplaincy, campus ministry, interfaith projects such as a food pantry and the United Nations. MA and PhD students can also elect to do an internship during their studies. Drew’s PREP Program brings the Theological classroom into the prison setting, with the goal of expanding the horizons of both “inside” and “outside” students through the sharing of diverse experiences, identities, and belief systems. PREP is a unique experience that allows Drew students to collaborate with degree-seeking inside students from two New Jersey State Prisons: Northern State Men’s Prison and the Edna Mahan Correctional Facility for Women. These “combined” classes are taught by Theological School faculty once per semester at each institution and cover a variety of subject matter, including pastoral care, theology, sociology, and biblical studies. By providing students the opportunity to learn alongside of these often forgotten and disparaged populations, PREP makes manifest the Theological School’s commitment to social justice. Don’t leave Drew without the PREP experience! Every year, Drew faculty and Master of Divinity students from many cultures pack their bags and take to the skies (or the road) to fulfill their requirement for an intensive and intentional experience in cross-cultural learning. In the process they gain new perspective on their own contexts and find their visions of their local ministries and spiritual self-understanding stretched and enlivened. Becoming aware of global interdependence, students develop mutual understanding and respect as well as solidarities of common cause. Get your hands dirty. Breathe the fresh air. 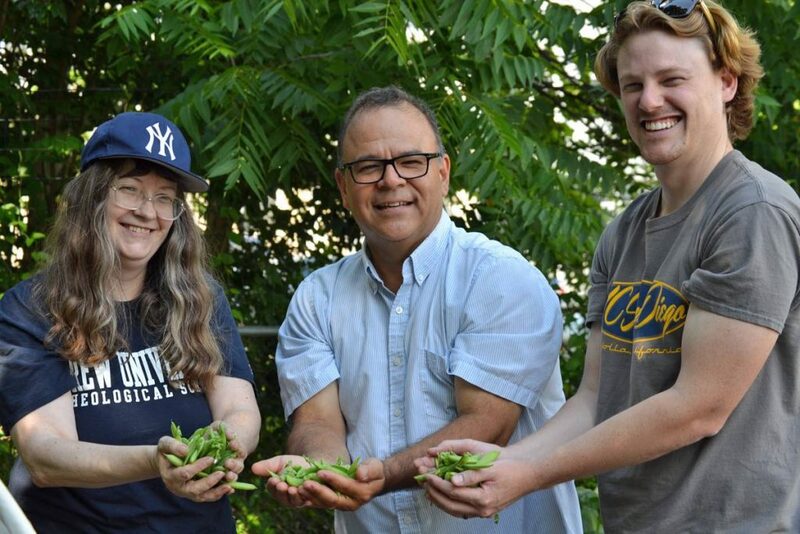 At the Theological School Community garden students, professors and staffers plant, harvest and eat organic food. As we harvest, we donate crops to local food pantries. We’re able to bless those in need by sharing our faith practically. Go to seminary and start a flagship program! This is what Theological School alumna Margaret Quern Atkins T‘07 did. After studying religion and social justice at Drew and doing an internship at Vanderbilt on restorative justice, Margaret challenged her alma mater to help her start a co-learning program in New Jersey state prisons. Since then, students and professors travel every semester to Northern State Correctional Facility in Newark or Edna Mahan Women’s Correctional Facility in Clinton to hold class. Theological school students and incarcerated men and women study theology, biblical studies, ethics, creative writing and history together as co-learners. As courses continue to be touted as the among the most transformative learning at Drew, Margaret has gone on to establish NJ-Step, a statewide effort to provide college-level courses to incarcerated people in New Jersey.